Infectious agents – bacteria, viruses and parasites – evolve in response to selective pressures created by our immune systems, vaccine deployment, and antimicrobial drugs. The resulting genetic changes in the pathogens often have direct consequences for human health – most prominently, antibiotic resistance, but also ongoing transmission of pathogens that have evolved to evade our natural or vaccine-induced immune responses. Understanding the mechanisms by which this selection happens offers the opportunity to control it and direct it in more benign ways. Quantifying the contribution of particular evolutionary changes to disease burden allows priority-setting for antimicrobial stewardship, vaccine deployment and other responses. Evolutionary changes in pathogen genome sequences can also be used to track transmission and inform our understanding of who infects whom. Our research in this area ranges from very basic studies of mechanisms of natural selection in pathogens through applied efforts to direct evolution in ways that will improve human health. The malaria parasite has fourteen chromosomes and undergoes sexual reproduction in its mosquito host. It exhibits extraordinary diversity on a population level, and this has hindered attempts to define “strains” to track transmission chains, as well as making it difficult to use genetic signatures to trace relatedness between parasite populations. 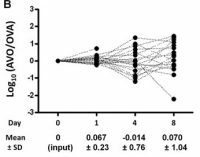 Nevertheless, genetic signatures of evolutionary processes relevant for transmission (e.g. spatial spread) and selection (e.g. due to drug pressure), may provide valuable insights for control programs aiming to reduce and ultimately eliminate malaria. Currently, however, because of the complexities of malaria parasite biology, the methods required to make sense of the structure of malaria parasite populations – in terms of sequencing approaches, sampling strategies, and analytical tools – are still in their infancy. 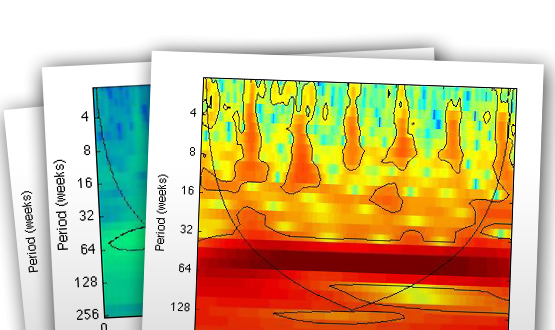 We are actively working to develop methods to analyze malaria parasite population genetic signatures, with a focus on tools to measure the spatial dynamics of malaria caused by human mobility in the context of national control program decision making. As it has become easier and cheaper to determine the genome sequence of a pathogen, epidemiologists have increasingly made use of it to examine outbreaks, transmission patterns, and track the spread of individual strains of disease worldwide. CCDD has a long history of work using genomes to study the epidemiology of the pneumococcus, but has also pioneered the study of other bacterial pathogens including the agents that cause whooping cough, tuberculosis and gonorrhea as well as cases of the so-called “nightmare” drug resistant infections caused by Carbapenem resistant Enterobacteriaceae. Medical interventions like antibiotics and vaccines are novel selective pressures that pathogens must face, and we can learn a lot from how they respond to them. Some vaccines either in use or in development target the most dangerous known strains of a pathogen, which might remove competition that has been keeping other strains rare, leading these rare strains to become more common and increased exposure. If these emerging strains are either more virulent than we thought, or become more virulent, the effectiveness of the vaccines might be reduced. Researchers in CCDD have been studying this in multiple pathogens, but with a special focus on the pneumococcus. Vaccines are an underappreciated part of the solution to the growing problem of antimicrobial resistance in bacteria. By preventing bacterial infections with bacteria, vaccines such as the pneumococcal conjugate vaccines reduce the burden of resistant as well as non-resistant infections. Moreover, by preventing infections that can lead to antimicrobial use, vaccines against both bacteria and other pathogens (eg influenza) help to reduce the intensity of selection on bacteria to become resistant. 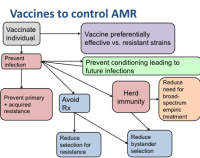 CCDD researchers are working to delineate the mechanisms by which vaccines can reduce AMR and quantify the contribution of various mechanisms. Also see AMR. Antimicrobial resistance is a growing concern in the developed and the developing world. Strains of several bacteria untreatable with any standard drug have been observed, and the narrowing therapeutic options threaten not only the ability to treat infections but the feasibility of surgeries and cancer chemotherapies that rely on antibiotic prophylaxis to prevent infection. 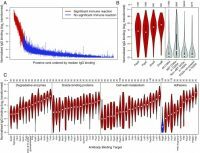 More than one strain of a pathogen may infect a particular host simultaneously, and population bottlenecks during that process may have consequences for pathogen evolution. Using experimental infections with bacterial and viral pathogens, CCDD researchers study the patterns of pathogen diversity as an infection establishes and progresses, thereby making inferences about the infectious process.